Raymond Weil is completing its trilogy of timepieces celebrating The Beatles with a tribute to the Fab Four’s bestselling album, Sergeant Pepper’s Lonely Hearts Club Band. Only 3,000 numbered pieces of the Maestro watch are being produced, so retailers will need sharp elbows to get their allocation. 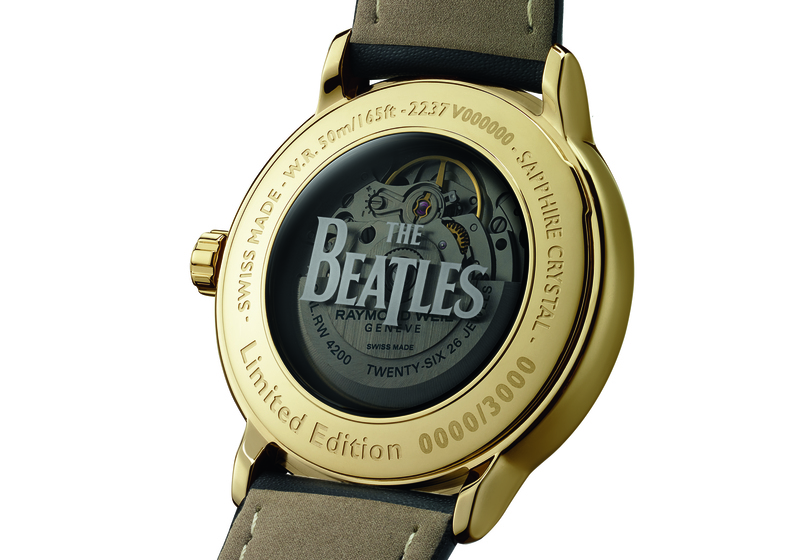 Each watch is engraved on its smoked sapphire crystal back that carries the official The Beatles logo with its unique production number. It uses the RW4200 mechanical self-winding movement housed in a 40mm polished yellow gold PVD plated stainless steel case and has 38 hours of power reserve. The black strap, a first for Raymond Weil, is made from vegan leather. The grey dial is designed around the famous bass drum from the album’s cover with The Beatles logo at 6 o’clock. 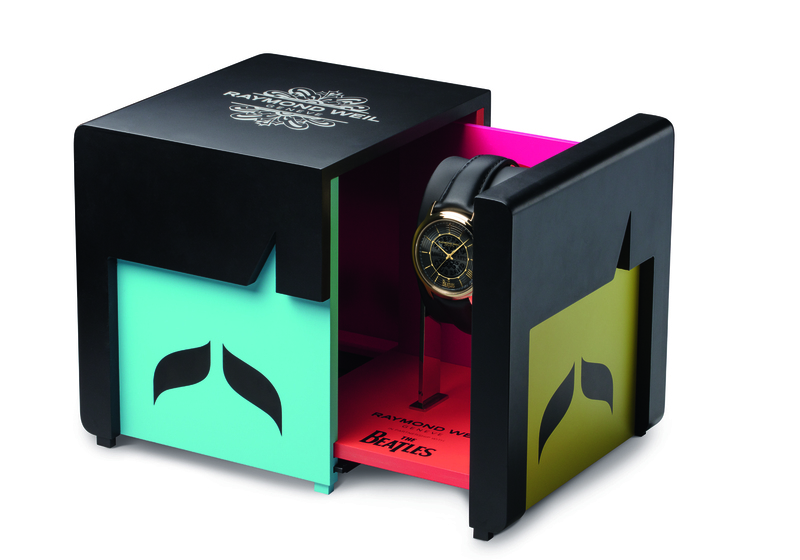 The Beatles Sgt Pepper’s Limited Edition timepiece will be presented with a dedicated watch case celebrating the music icons by using the bright colours of the famous suits they wore on the cover of the Sergeant Pepper album. It will be available from April for around $1500 (equivalent of UK price £1,195).